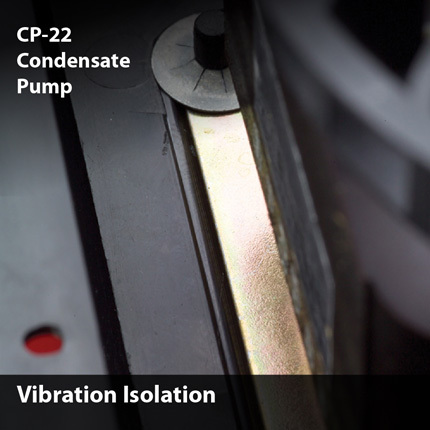 The elastomeric motor mounting gasket dampens vibration. 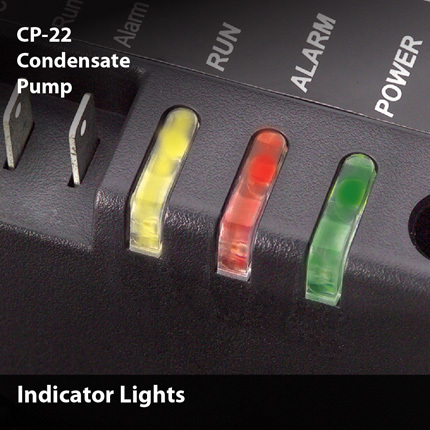 The red, yellow, and green indicator lights show the pump status. The green shows the power applied to the pump, yellow shows the pump is running, and red is for high level alarm. 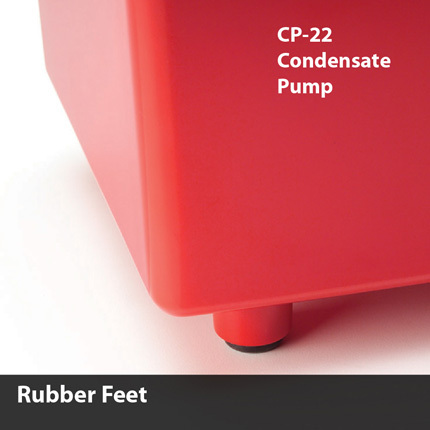 The rubber feet that support the CP-22 Condensate pump help to dampen vibration which reduces noise. 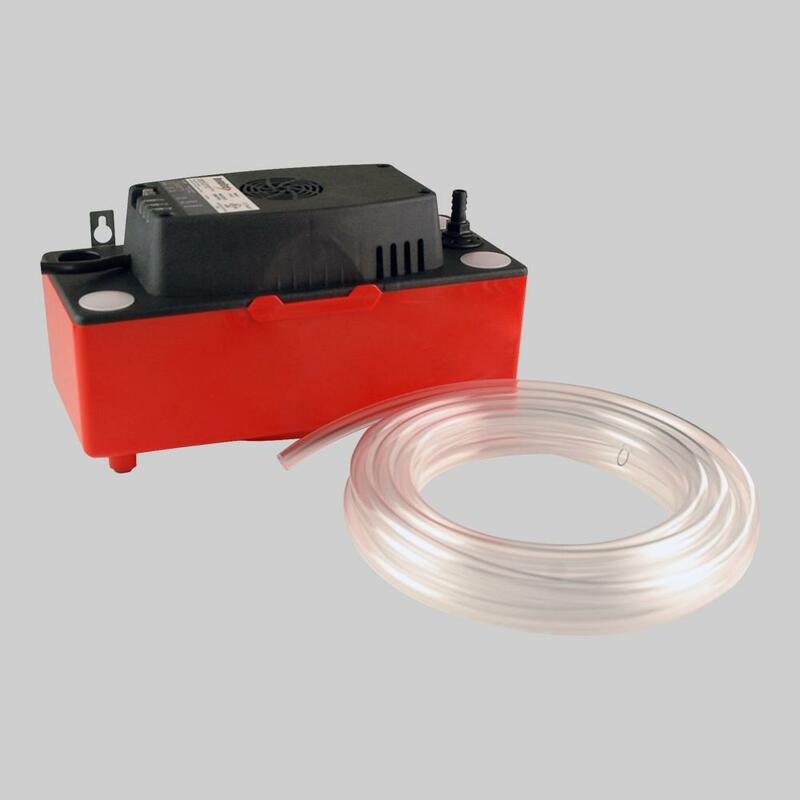 The four inlet versus two or three on other pumps provide the greatest installation versatility. 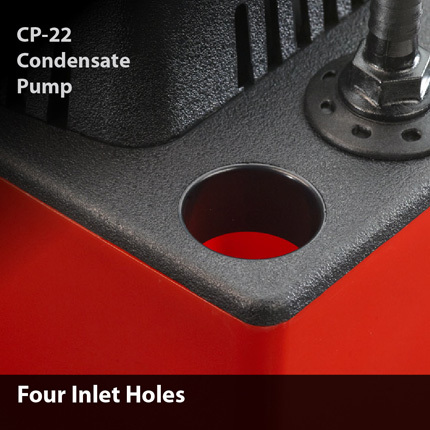 Inlet holes have a reinforced wall for durability. 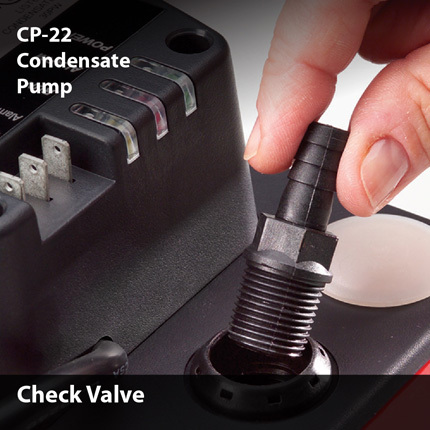 The CP-22 Condensate Pump features a removable check valve which allows for hassle free cleaning. 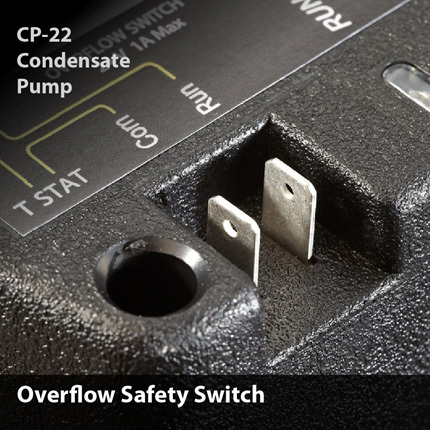 The 1/4" quick connect terminals provide easy connection to the built-in overflow switch. 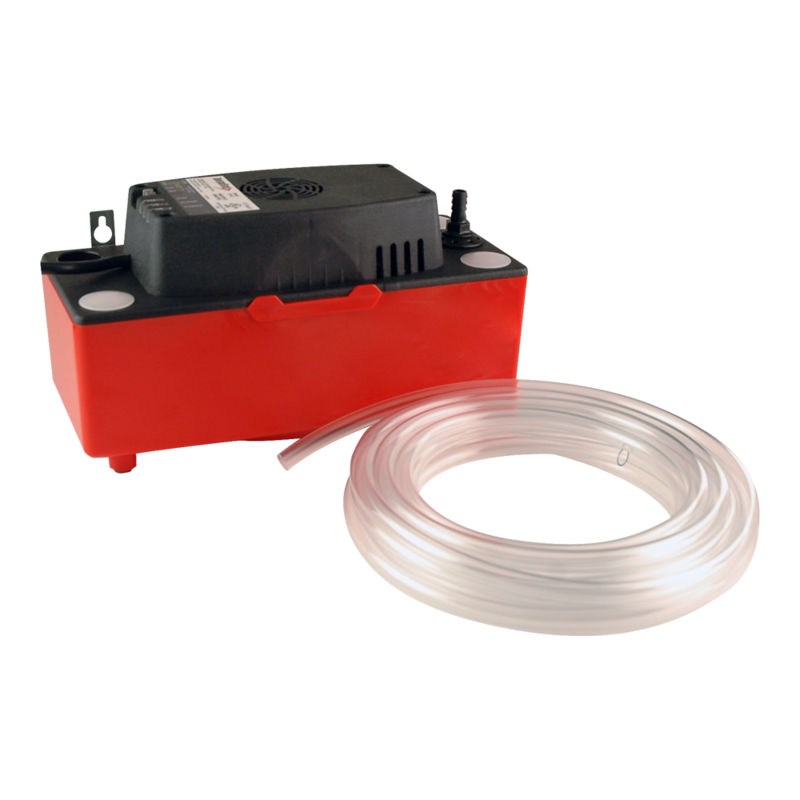 Two terminals are provided allowing the installer flexibility to connect the air handler shut-down. The switch features SPDT isolated contacts ready for connection to building automation systems. 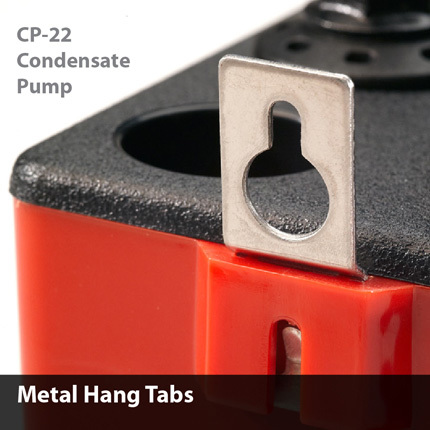 The CP-22 Condensate Pump comes equipped with shatterproof stainless steel hang tabs which have hole-and-slot design for easy mounting. The tabs are located on convenient 8" centers.